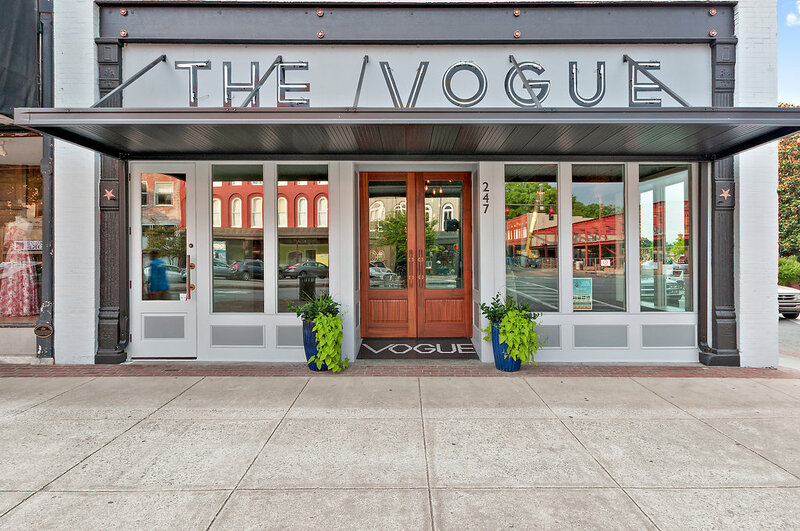 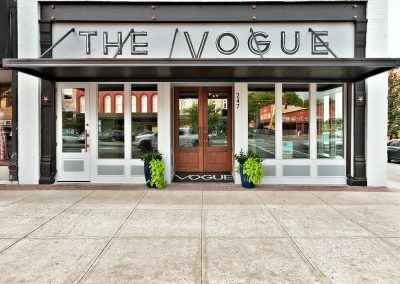 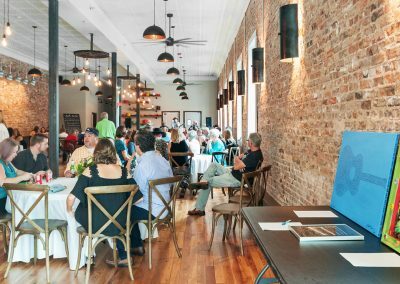 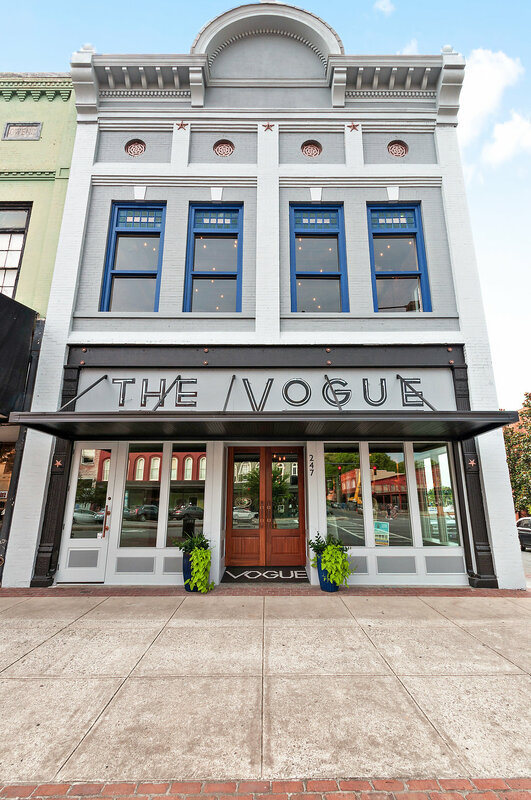 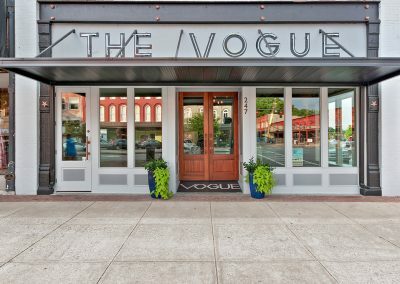 Built around the turn of the century, The Vogue building in beautiful Rome, GA housed various retail ventures throughout its 100+ years of existence. 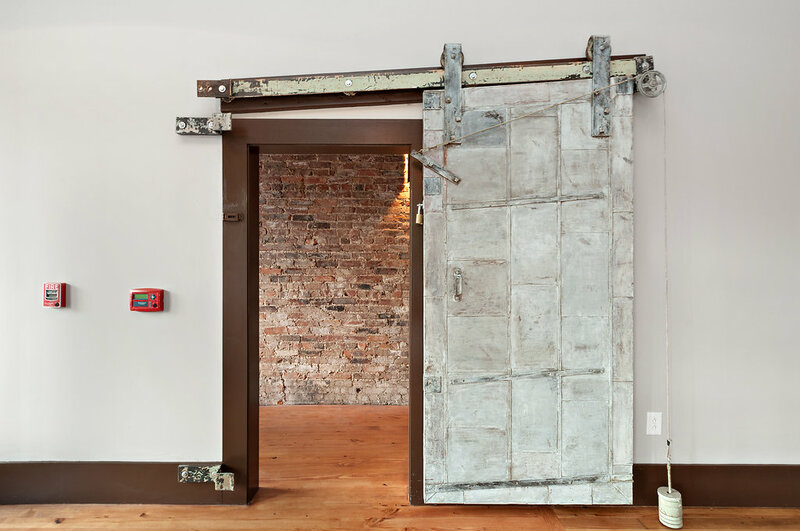 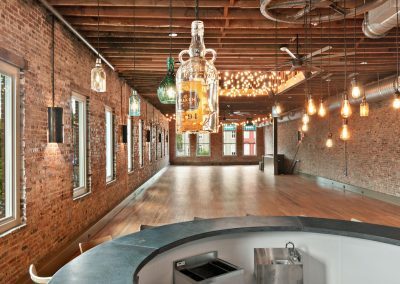 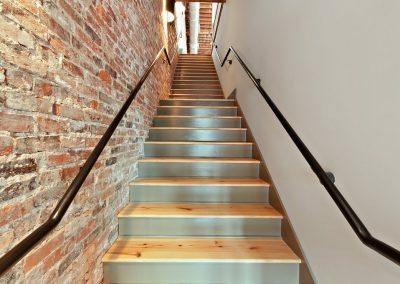 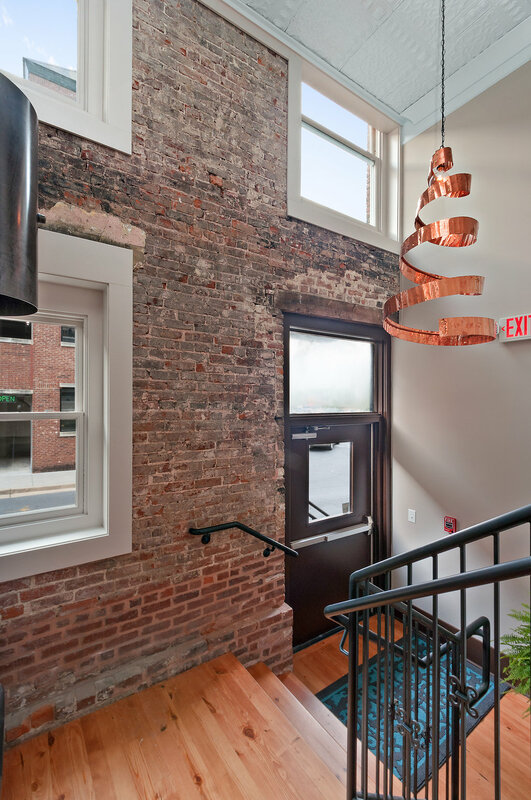 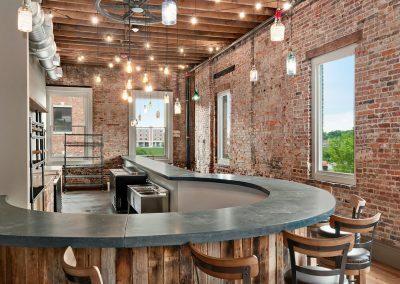 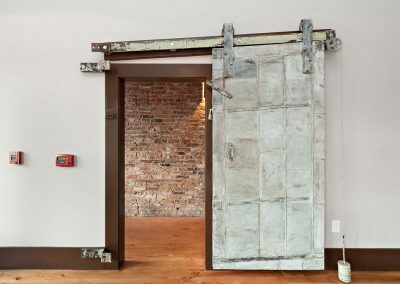 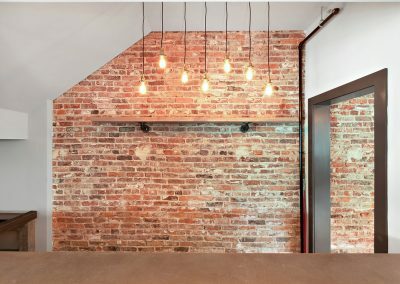 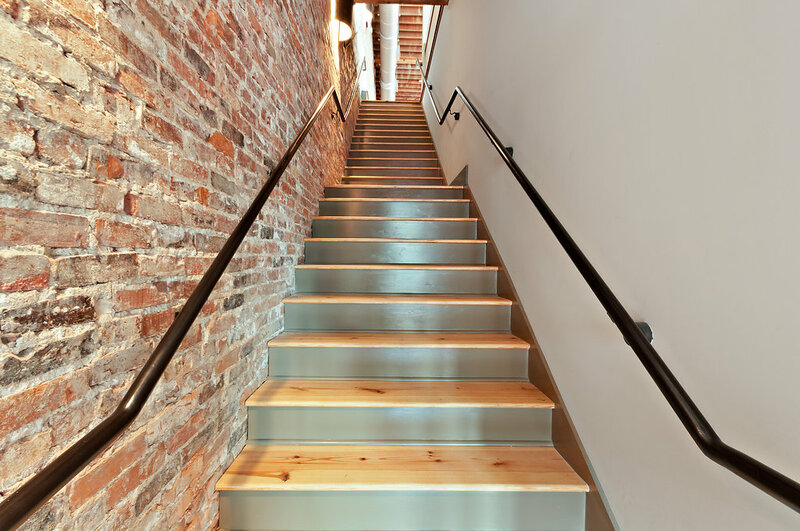 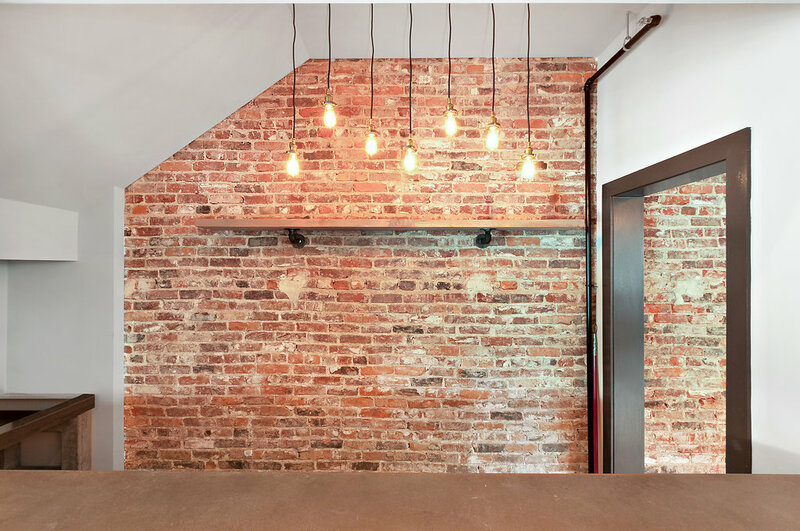 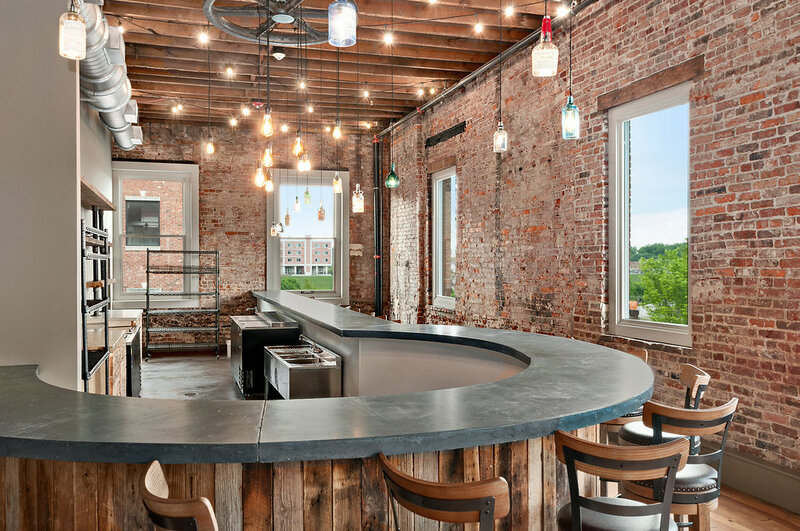 The adaptive reuse plan was formulated, and due to the structure’s age and delicate nature, steel posts and beams were inserted. 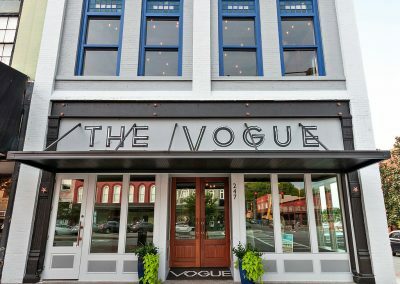 During the renovation process, the original neon sign was uncovered and restored as part of the project. 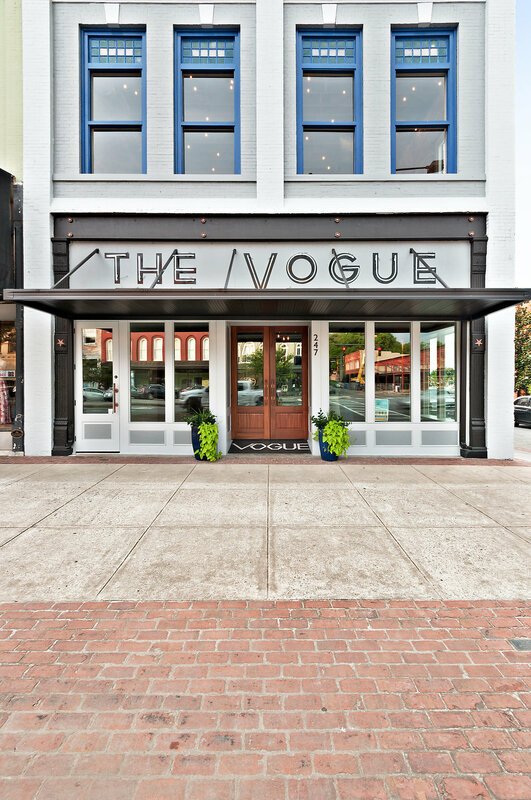 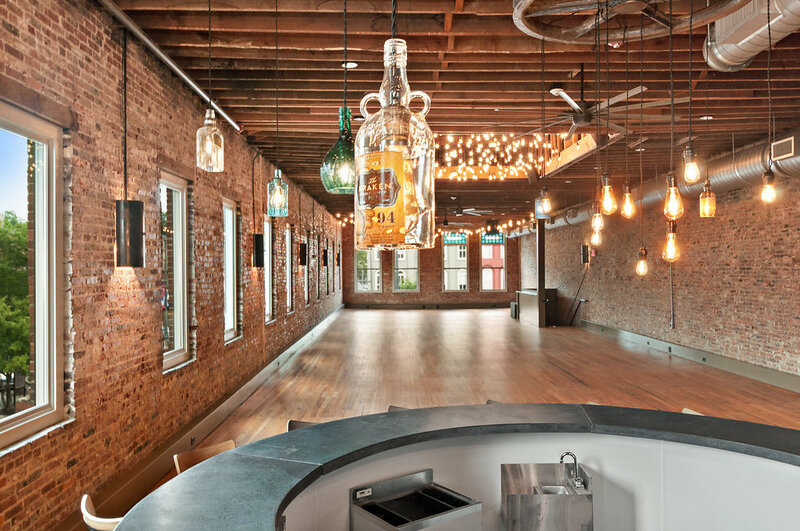 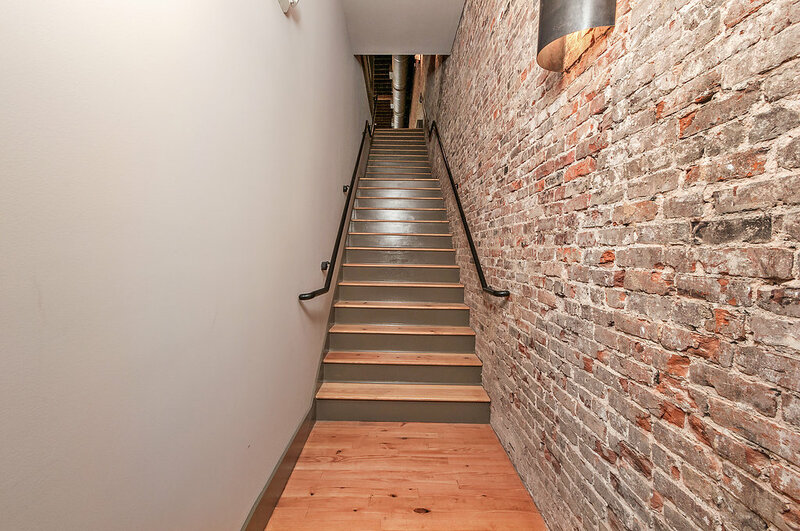 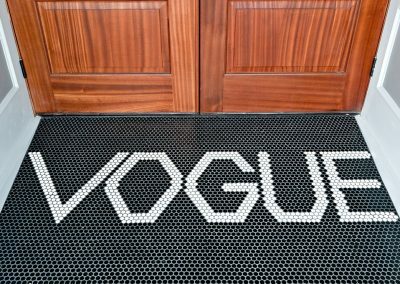 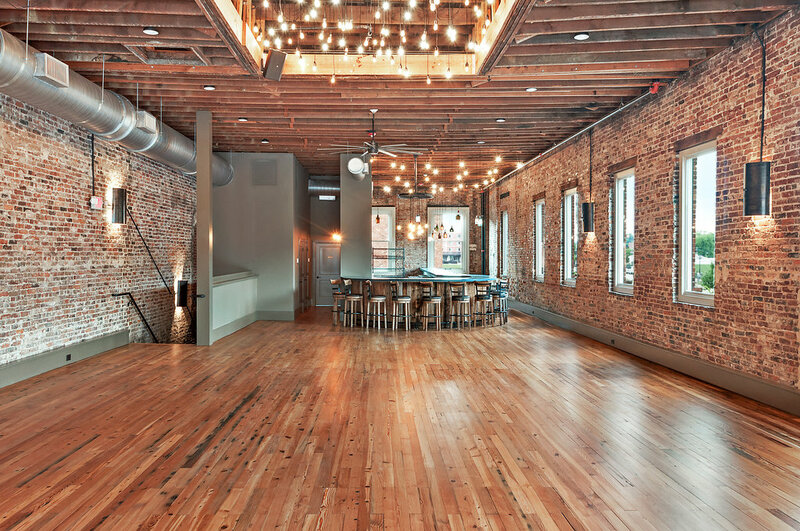 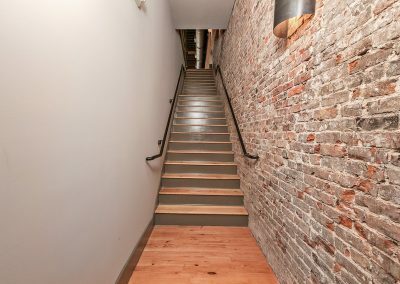 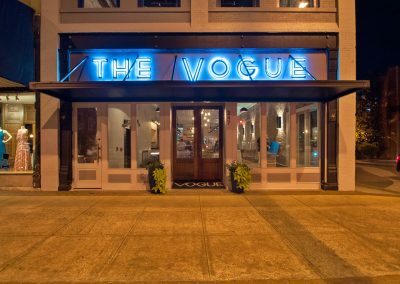 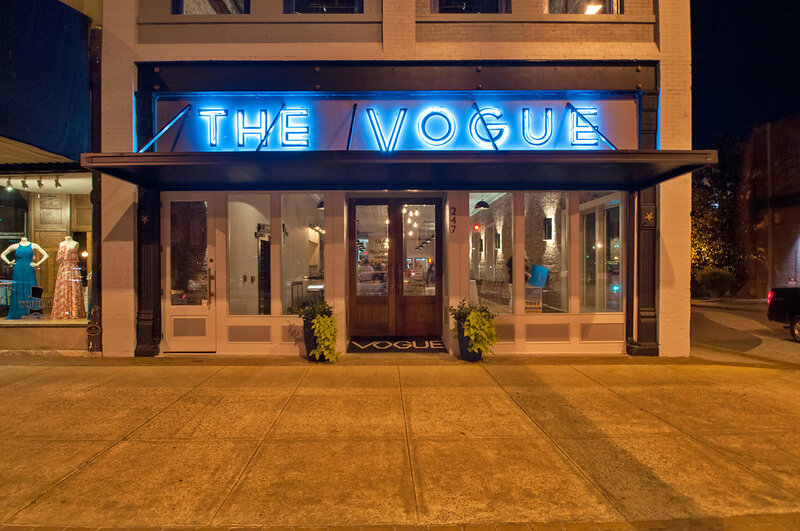 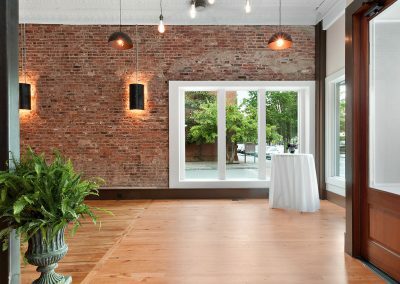 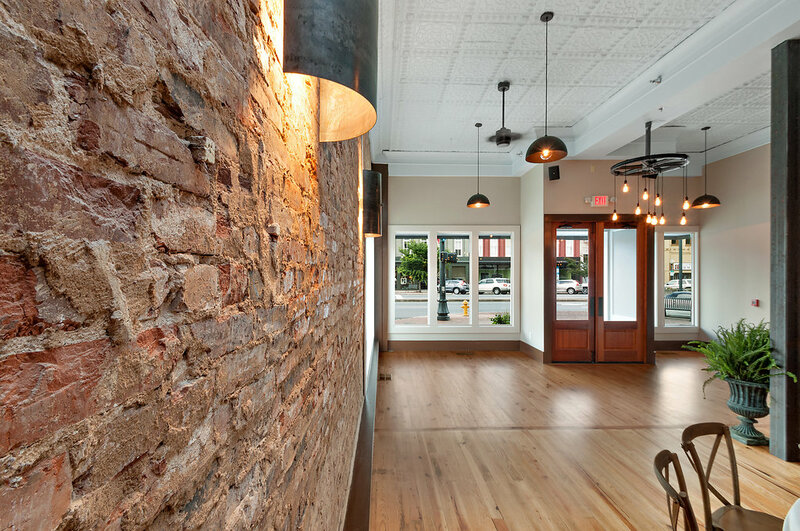 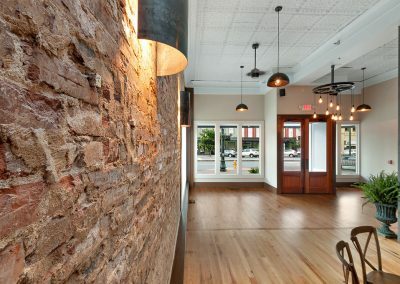 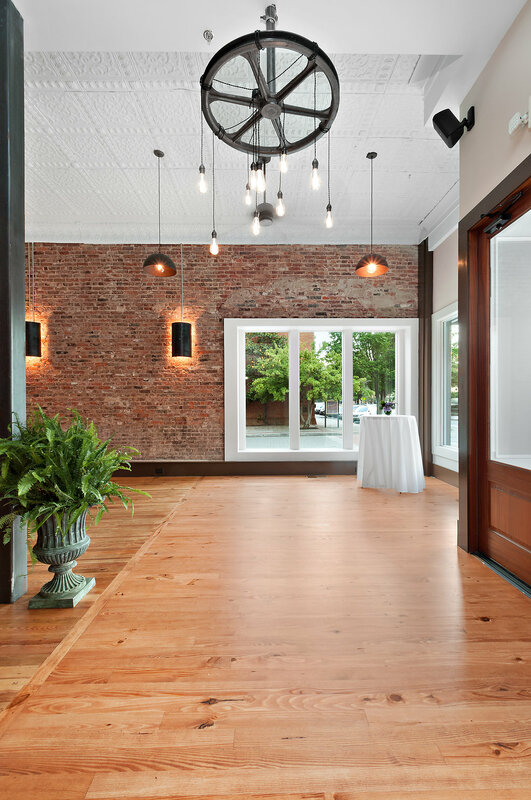 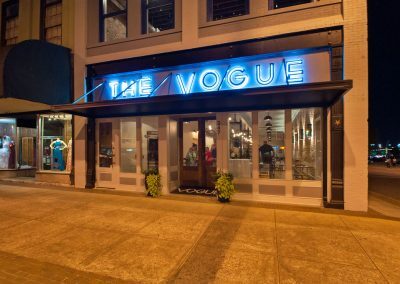 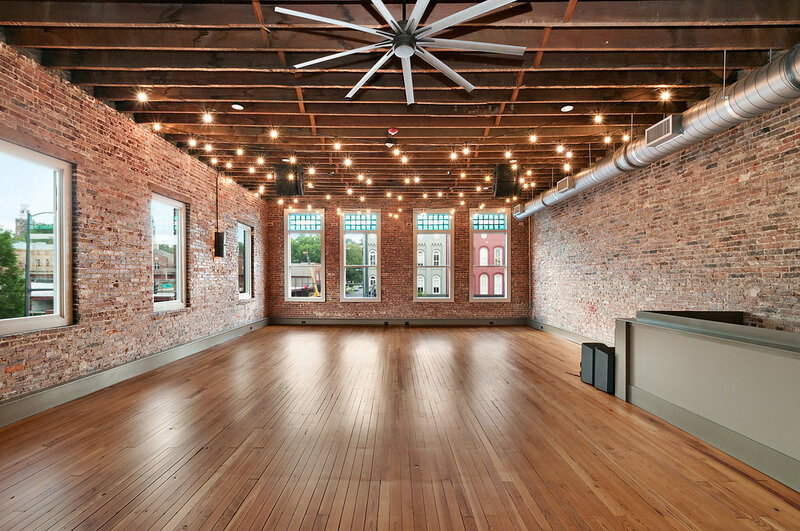 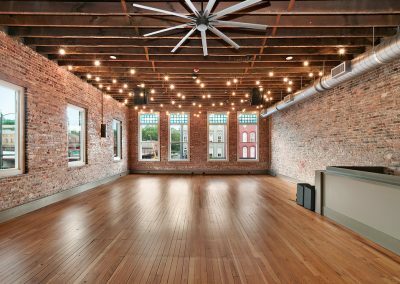 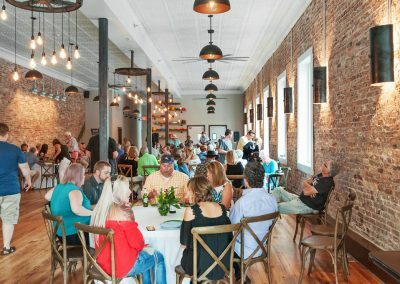 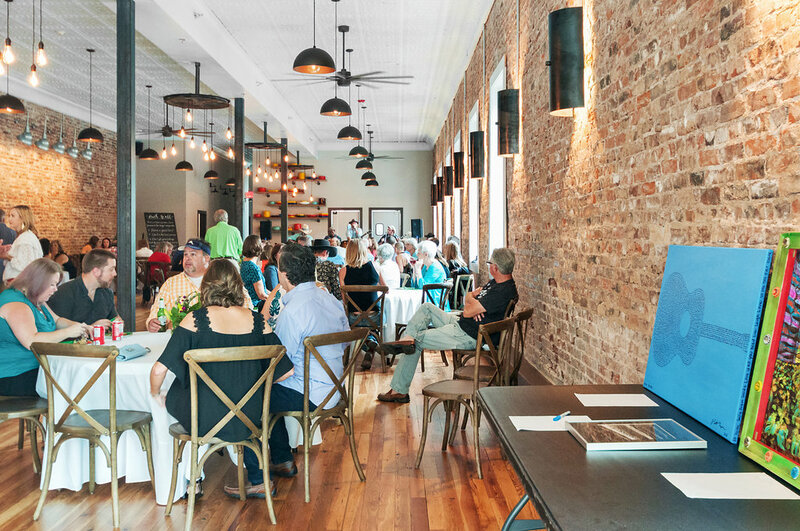 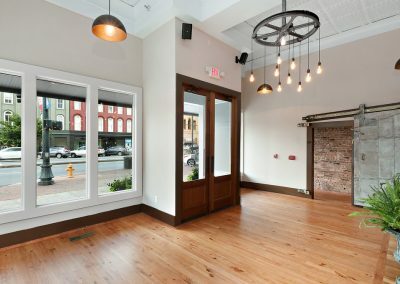 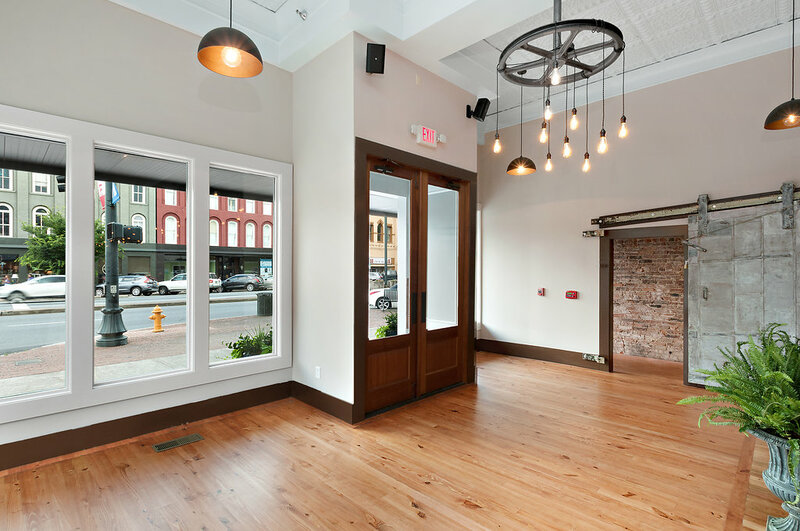 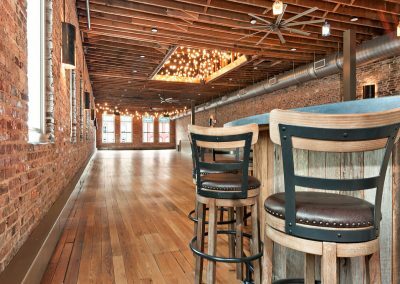 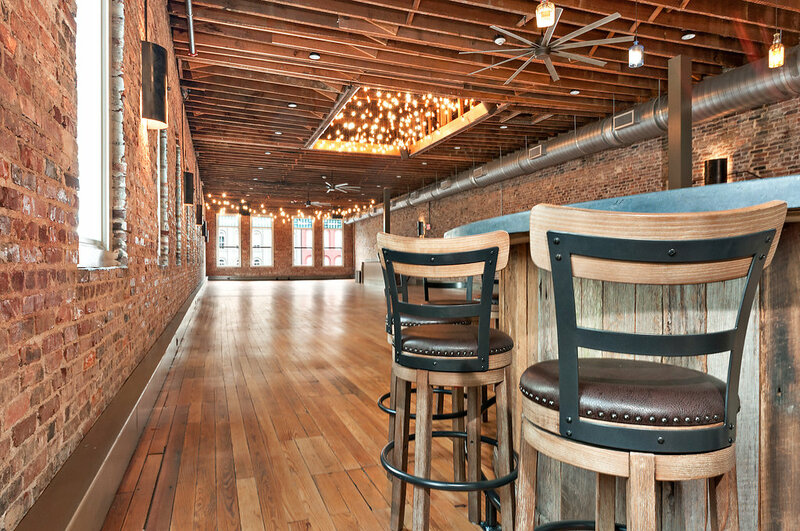 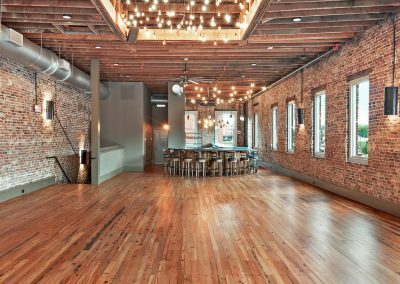 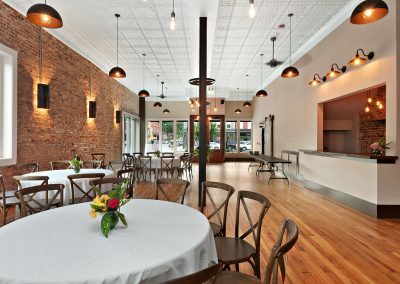 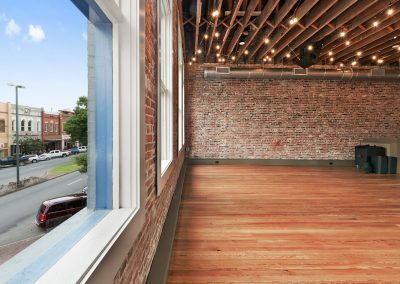 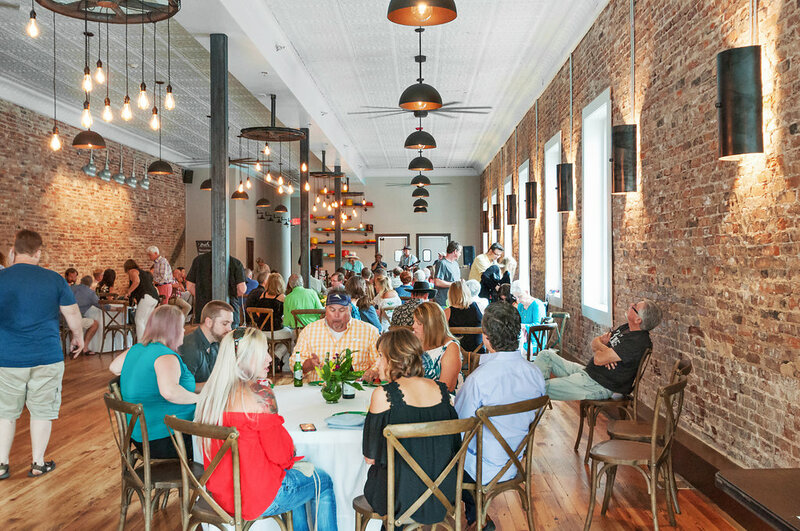 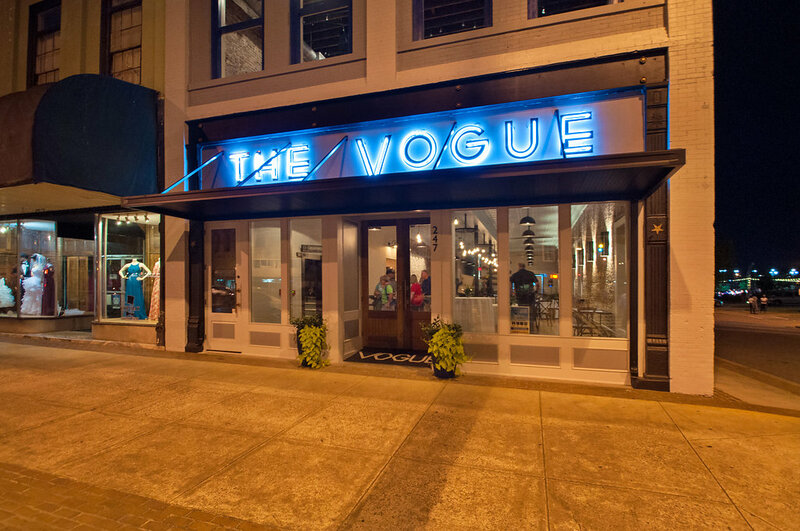 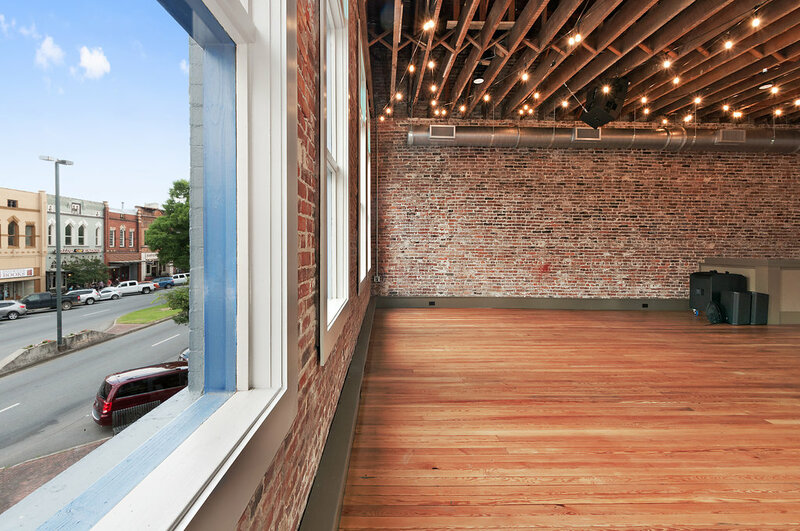 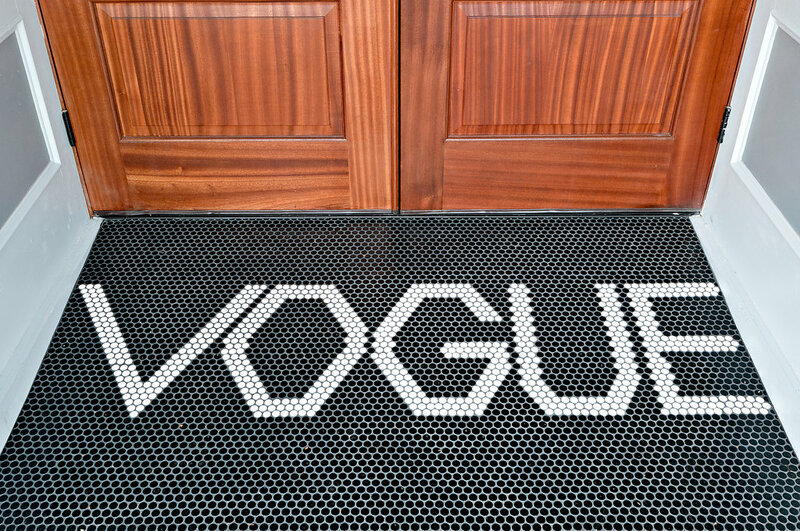 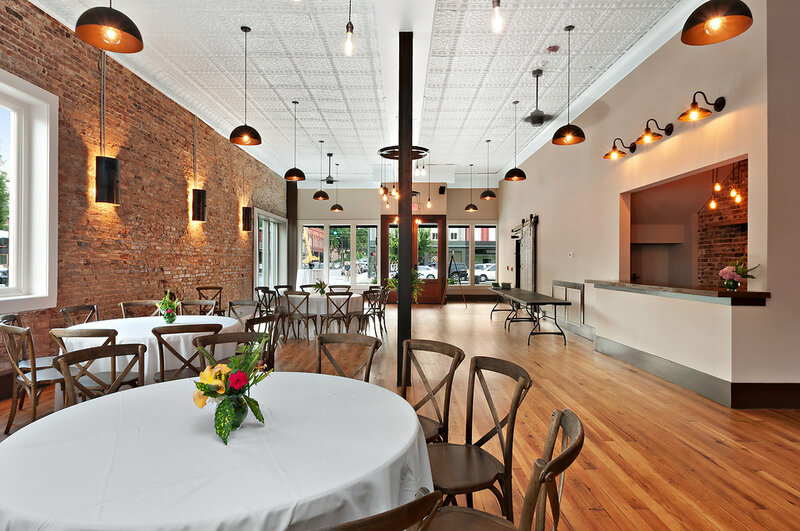 The interior of The Vogue contains the original restored stamped tin ceiling on the main level and hardwood floors, along with exposed brick walls. 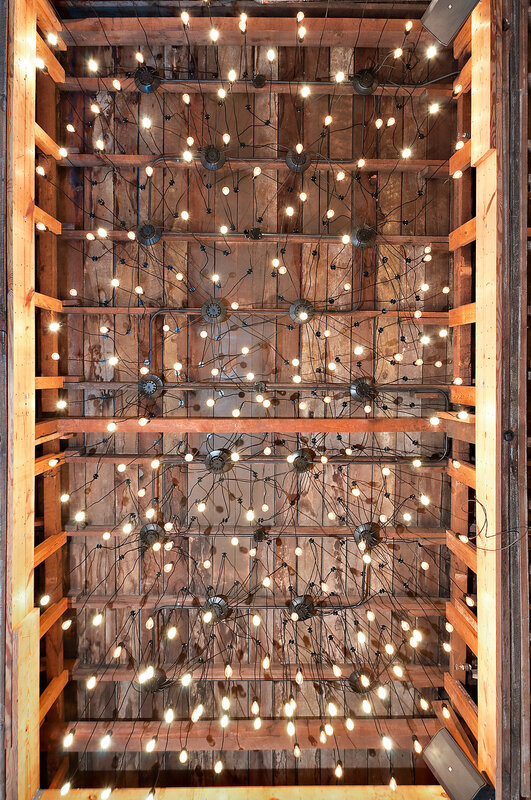 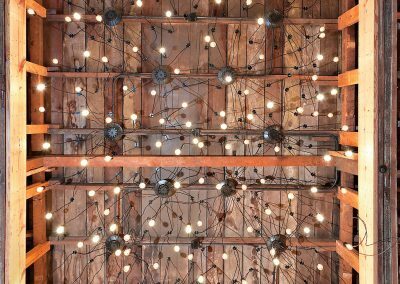 The gears from the original motor to the hydraulic elevator were repurposed as chandeliers on the main level. 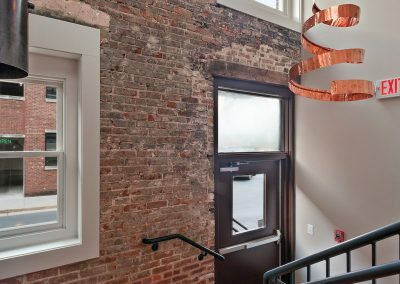 The original Victorian-style metal-bracketed cornices were unsalvageable; thus, perfect replicas were installed.